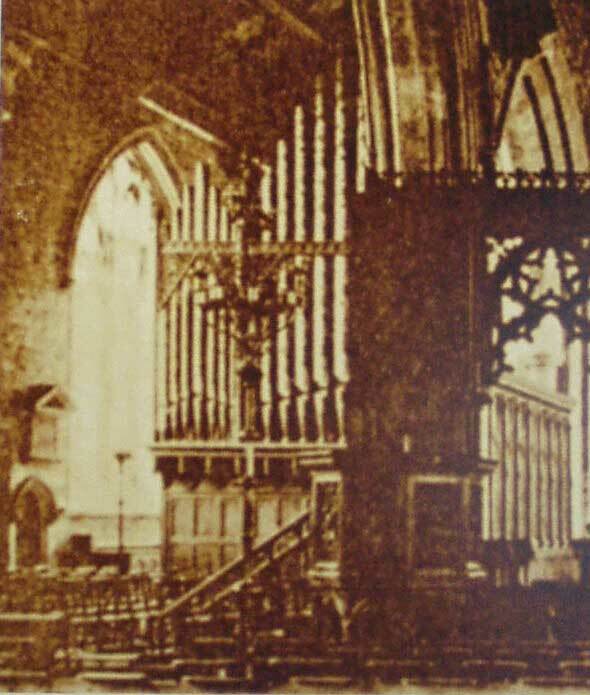 An organ was installed in St. Wulfram's in 1640: it was removed soon afterwards as unacceptable to Puritan thought. 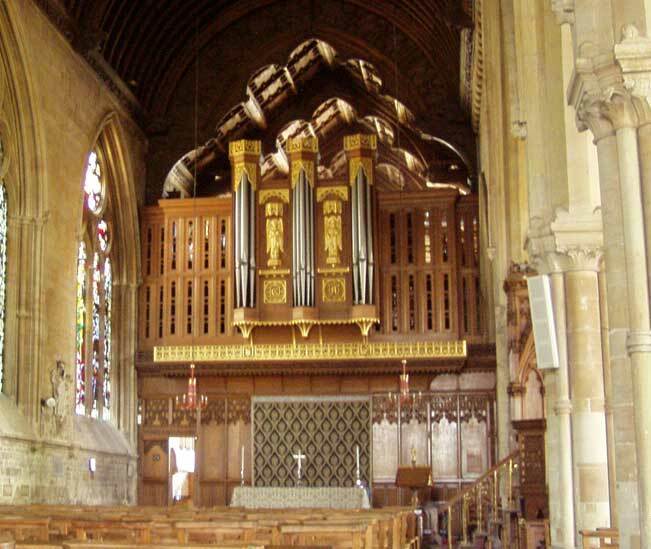 The present organ, incorporating part of the Byfield organ of 1736, was built in 1906 in a fine oak case designed by Walter Tapper. 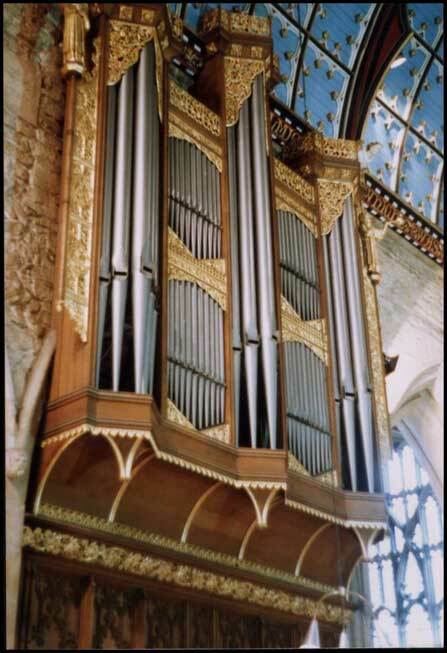 The instrument was overhauled in 1950, completely rebuilt in 1972 and in 1993/4 when a fourth manual was added.